If you're a fan of the Big Heist, you might recognize the reference. If you're not, no worries; we've got your decoder ring right here. The subject line's from the movie, Ocean's Eleven. In one of the key scenes of the movie, George Clooney tries to sell Brad Pitt on a casino heist. Okay, but what does this have to do with Aeon 14 and the next Enfield Genesis book? Turns out that Shannon's a big fan of old-Earth 2D vids, especially ones like Ocean's Eleven, Inside Man, A Fish Called Wanda, and The Usual Suspects. Good thing, too. Because all of her expertise with the con game will serve her well as she embarks on her first field mission for team Phantom Blade. Jason and Terrance have one more mission to complete before their return to Alpha Centauri. Reports from Sirius speak of atrocities by the Sirian Hegemony, committed against AI and human alike. 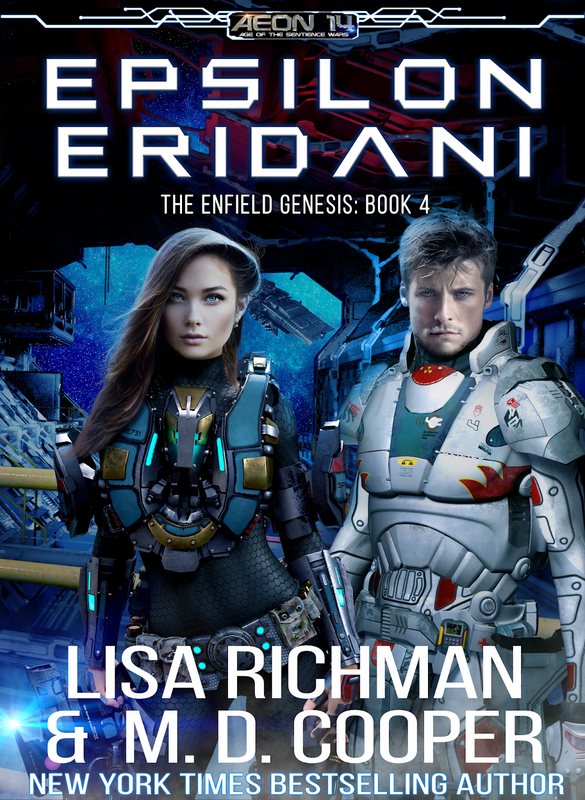 Don’t miss the fifth and final installment in the Enfield Genesis series, where the crew of the Avon Vale fly once more into the breach to free the oppressed. 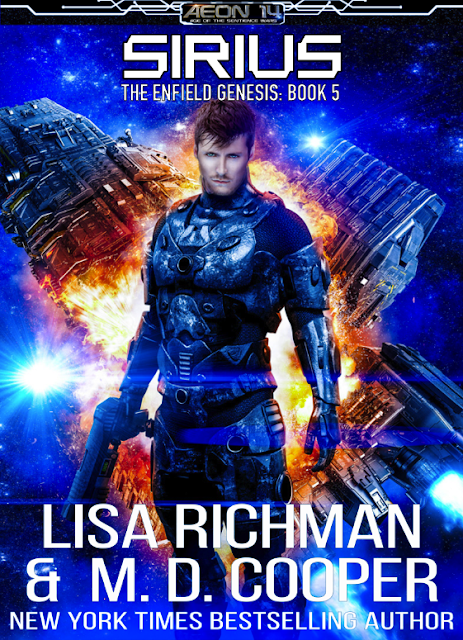 The fifth and final book in the Enfield Genesis story arc, coming April 25! Catch up with Phantom Blade! Epsilon Eridani: Crisis in Little River — the fourth book in the Enfield Genesis series.